It turns out Ms. de la Fressange has some really good advice, in my non-fashion-forward opinion. I’m particularly inspired by her list of seven wardrobe basics that every woman should have, especially because I already have most of them! It’s kind of crazy how many polished-looking outfits you can put together with just these seven items and some cool accessories. Once I get that navy sweater, hopefully I’ll be well on my way to chic-ness. 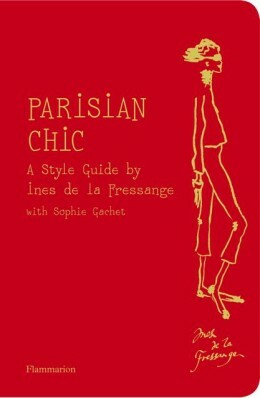 This entry was posted in Stylin' and tagged books, Carlie, Carlie Crash, ines de la fressange, parisian chic, style, wardrobe basics by carlieblissirwin. Bookmark the permalink.